Medlen & Carroll, LLP's Biotechnology Practice Group works with researchers in all areas of bioscience, advising about the various forms of legal protection available. The fast-growing biotechnology field is precipitating changes in Federal patent law and Patent Office policy to keep apace with issues specific to biotechnology inventions. Keeping our clients informed about changes in the law, legal trends and how these affect the industry is a priority for us. Biotechnology patent law is evolving rapidly. As the Patent Office struggles to deal with the unique issues presented by biotechnology patents, it has developed standards for patentability that present difficult hurdles during prosecution. The members of the Biotechnology Practice Group of Medlen & Carroll, LLP bring the requisite degree of specialized experience needed for obtaining biotechnology patents. Our approach has proven to be effective for overcoming obstacles related to enablement and obviousness. Enablement challenges by the Patent Office can prove extremely difficult for the unprepared. Our approach anticipates these obstacles from the time the patent application is first drafted. For example, where protection for a broad group of compounds is desired, a description of a sufficient number of representative species needs to be included in the application. Obviousness rejections form the real battleground in biotechnology. The firm has had great success in overcoming obviousness rejections by presentation of failure data and side-by-side comparisons between the invention and prior art. Significant changes in our patent laws have been enacted to implement U.S. adherence to the Uruguay Round of GATT. We are ready to advise you on patent strategies in light of the (1) modifications to the patent term, (2) implementation of provisional applications, and (3) new guidelines for evidence of inventive activity. Medlen & Carroll, LLP assists inventors in gaining protection for plants. The Plant Patent Act, Plant Variety Protection Act (PVPA), and utility patents provide three distinct types of protection for plants. Utility patents for plants may cover multiple varieties, entire genera, species, and/or particular parts of plants. Plant parts may include cells, plant cell or tissue cultures, or portions of plant genomes which encode non-plant proteins. Utility patents may be obtained for plants also eligible for PVPA or plant patent protection. We advise inventors of the best means of plant protection, including consideration of the different requirements associated with the three modes of protection. For example, plant patents have a less burdensome disclosure requirement than utility patents, but the coverage is limited to the plant in its entirety. 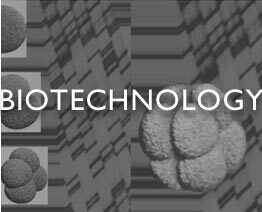 A representative sample of patents prepared and prosecuted by members of the Biotechnology Practice Group is available upon request. e-mail us any confidential information. If you are seeking legal counsel, contact us by telephone.